Although the top taking rent so far this year is an eye-popping $185 per square foot at Sheldon Solow’s 9 West 57th Street, it is just one of only a handful of leases signed for more than $100 per square foot this year in a challenging leasing environment, industry experts said. New York City landlords signed just 12 leases with taking rents of $100 or more per square foot through July 31, down from 66 at the same time last year, figures from commercial services firm Cushman & Wakefield show, an 80 percent drop. “From 66 to 12 is a significant drop off, considering quite a few of those were renewals of captive tenants,” and most were not for large deals, said Jonathan Mazur, assistant director of research services for Cushman & Wakefield. He would not comment on particular deals. While an industry source said the top rent this year reached $185 per foot for the lease at 9 West 57th Street, signed by Mousse Partners, a private investment firm controlled by the Chanel fashion family, that deal was in a league of its own. The next highest taking rent was $70 cheaper. The top taking rent through July last year was $20 more, or $205 per square foot, the source said. 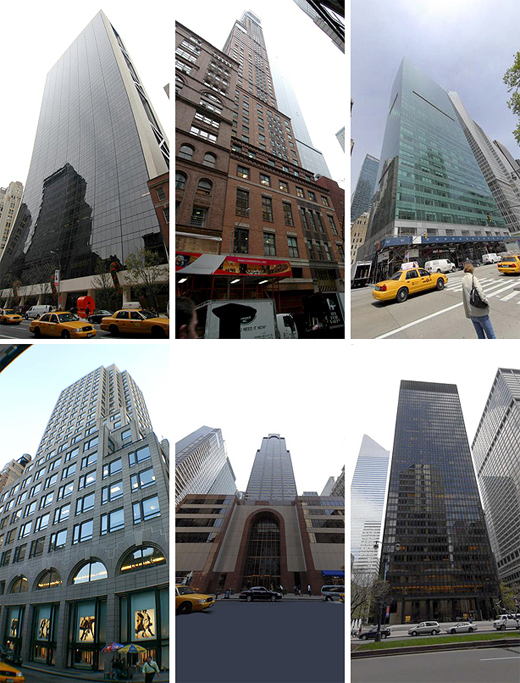 The other lease deals signed for over the $100 mark this year were British hedge fund CQS at 152 West 57th Street; China Construction Bank at 1095 Avenue of the Americas; an unidentified firm on the 16th floor at 667 Madison Avenue; and New Mountain Capital at 787 Seventh Avenue, the industry source said. A spokesperson for Hartz Mountain Industries, which owns 667 Madison Avenue, said there had been not one, but three, deals over $100 per foot, but would not identify the tenants. The remaining leases, signed at the Seagram Building at 375 Park Avenue, were for Arbor Commercial Mortgage; Lindemann Capital; TenantWise; the Banco de Bogotá; Aviva Life and Annuity Company; Exor; and Chevez, Ruiz, Zamarripa, the insider said. Experts said the reason for the drop off of $100-plus deals in 2009 was the overall decline in rents. In prestigious buildings in Midtown, commercial brokerage CB Richard Ellis reported last month, taking rents were down by an average of 45 percent between mid-2008 and mid-2009. Robert Emden, principal with PBS Realty Advisors, said many of the deals over $100 per foot signed in recent months were likely the result of negotiations started a year or more earlier, which is typically the case. Emden, who was not involved in any of the 12 leases, said the first deals to break $100 in Manhattan ever were during the dot-com boom in the late 1990s and then again in recent years when the market sizzled and rents topped $200 per foot. He said he expects to see just a smattering of deals over $100 per square foot in the coming years, until the market recovers. “It will be for the highest quality and best views,” he said, limited to a handful of buildings such as the General Motors Building at 767 Fifth Avenue, 9 West 57th Street and 667 Madison Avenue.